Pedestrians Crossing the Highway: Who Is at Fault? - Hames Anderson Whitlow & O'Leary, Attorneys at Law, P.S. As you drive through city streets, you know that pedestrians have the right of way. That is why you look out for them in neighborhoods, only pass through crosswalks when they are clear, and exercise caution. When a pedestrian is crossing an interstate highway, do they still have the right of way? Pedestrians injured in motor vehicle accidents on highways pose complicated legal issues for both the pedestrian and the driver of the vehicle that hit the pedestrian. Pedestrians, just like motorists, must use care to keep from causing an accident. Therefore, if a pedestrian’s actions are the cause of the crash and they failed to meet the standard of care expected of them, the court might find them partially at fault. However, they could still potentially file a lawsuit, and the compensation they receive would be reduced by how much fault the court apportions to them. In some cases, the pedestrian might receive the full award and he or she could file a negligence lawsuit against the driver, city, or government. 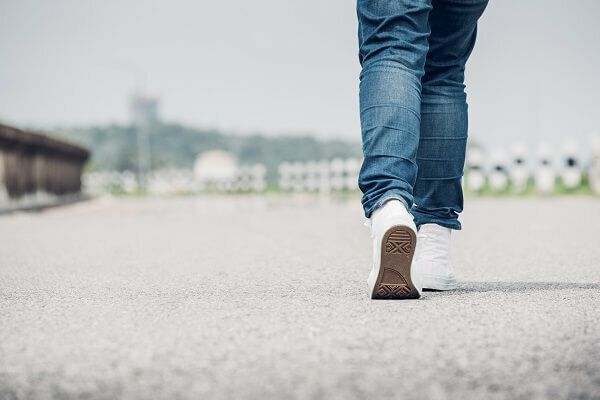 To determine who is at fault properly, you must first understand why a pedestrian was on the highway and the circumstances surrounding the accident. Why Was the Pedestrian on the Kennewick Highway? Pedestrian accidents on the highway do happen. But to determine fault, one must first identify why the pedestrian was on the highway. Their reasons for being there can dramatically change the outcome of an injury claim. If a pedestrian walks or runs across the highway, a car might strike them. Motorists are more likely to hit a pedestrian crossing the highway because they are traveling at tremendously higher speeds compared to city streets – which gives them very little time to react to a pedestrian’s presence on the roadway and avoid a collision. In most cases, the driver of the vehicle does not see the pedestrian until the collision occurs. Why Was the Pedestrian Crossing the Road? Was the pedestrian crossing the highway because their vehicle broke down and they needed to get to a phone? Alternatively, were they crossing the highway as a shortcut? There is no reason for a pedestrian to cross the road, and they have no place doing so. However, the circumstances for why they crossed the highway could matter in an injury case. While a pedestrian has no reason that would justify crossing the highway, a pedestrian struck by a vehicle while standing or walking in the shoulder changes the outcome. Drivers are required to stay in their land. And if the pedestrian had a good reason for being on the shoulder and a vehicle struck them, the driver might be at fault. For example, the pedestrian’s vehicle broke down, and he or she was walking on the shoulder to get help or to reach a call box. The motorist that strikes them, as long as the pedestrian remained in that shoulder and not in the lane of the highway, would be likely found at fault. After an accident, vehicles will pull over as far as they can and turn on their emergency lights to notify other drivers of their presence. Unfortunately, this can have the opposite effect and make drivers veer toward the flashing lights as opposed to away from them. A common cause of pedestrian accidents on the highway is when drivers and passengers must exit the vehicle after a crash, and a car in the oncoming traffic strikes them. In this instance, the driver might be at fault because they did not use caution while passing the site of the accident. Drivers who are inattentive, distracted, or negligent can be liable. On the other hand, if a pedestrian runs out into the highway away from the crash site and into oncoming traffic, the driver might not be at fault because the pedestrian was no longer in the crash site, but instead, entering traffic. As you can see, determining fault in a case like this is extraordinarily complex, and it might come down to a single detail. Unfortunately, insurance companies might take advantage of the complicated legal and factual issues in these types of cases and blame the other party – even when they are not at fault. They do so in hopes that they can reduce how much compensation they pay out by exploiting contributory negligence laws. Contributory negligence, also called contributory fault, is a law that reduces the compensation amount based on the amount of responsibility assigned to the plaintiff. For instance, the court might find that the plaintiff (pedestrian) was 30 percent at fault for the accident with the defendant (motorist). In this case, the plaintiff’s total damages would be reduced by 30 percent, leaving them with 70 percent. Under this Washington law, a plaintiff can still seek damages even if they are partially to blame, and insurance companies might exploit that fact to reduce the payout. They will try to push more fault on the other party (the party they do not insure) so that they can reduce total compensation value. In cases with pedestrians on the highway, a minor detail can swing contributory negligence in one way or the other quite dramatically. This is why it is imperative that each party has an attorney, and no one leaves the negotiations up to the insurance company. Whether you are the pedestrian struck on the highway or you are the motorist that hit a pedestrian, it is crucial that you contact an accident attorney. These cases are highly complex, and you cannot risk the insurance company reducing your claim based on haphazard applications of contributory negligence. Speak with an accident attorney now from Hames, Anderson, Whitlow & O’Leary. Our attorneys are here to serve as your advocates against insurance companies. We aggressively fight for our clients right to compensation, and we can help you succeed in your claim and receive the best possible outcome. Speak with us now during a confidential consultation by calling 509-586-7797 or request your appointment online.